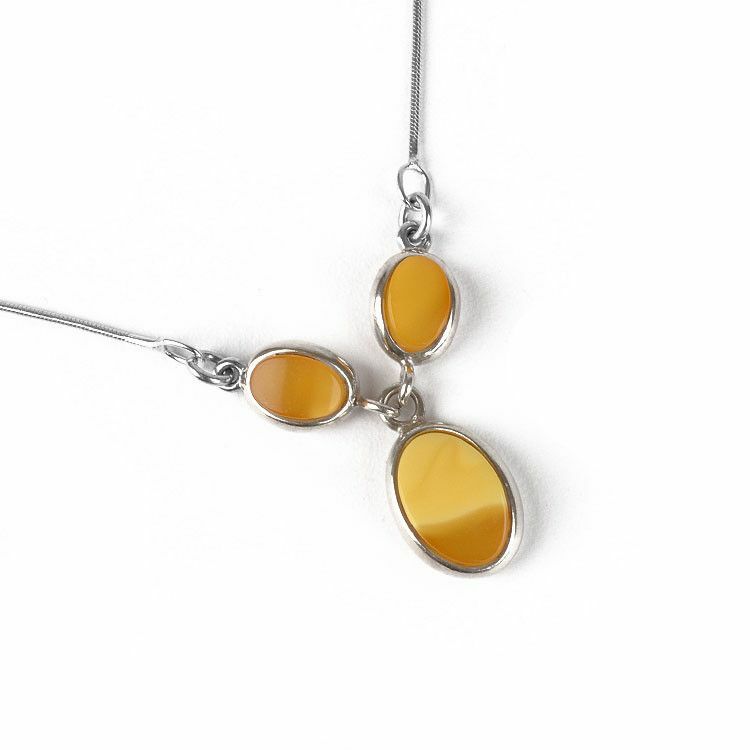 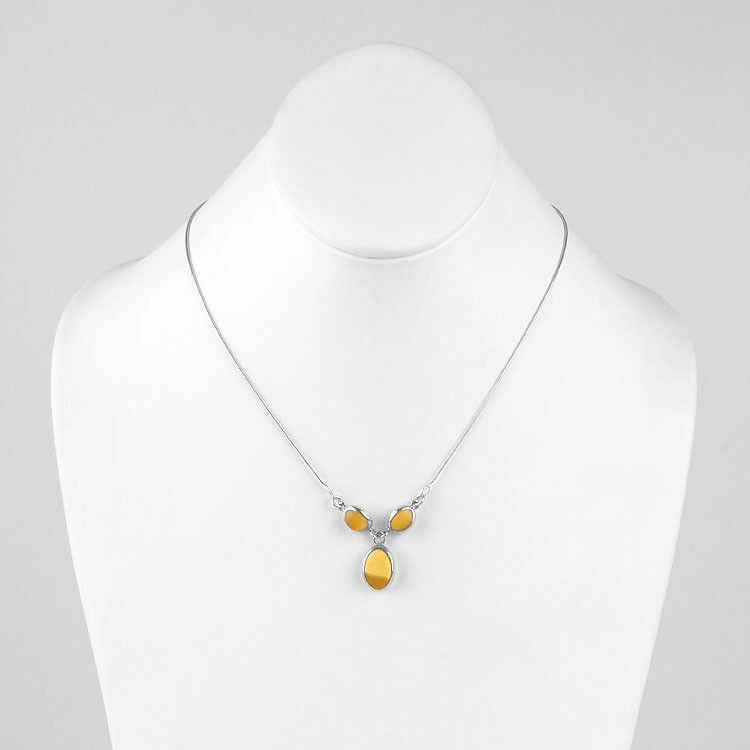 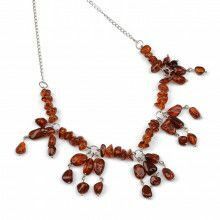 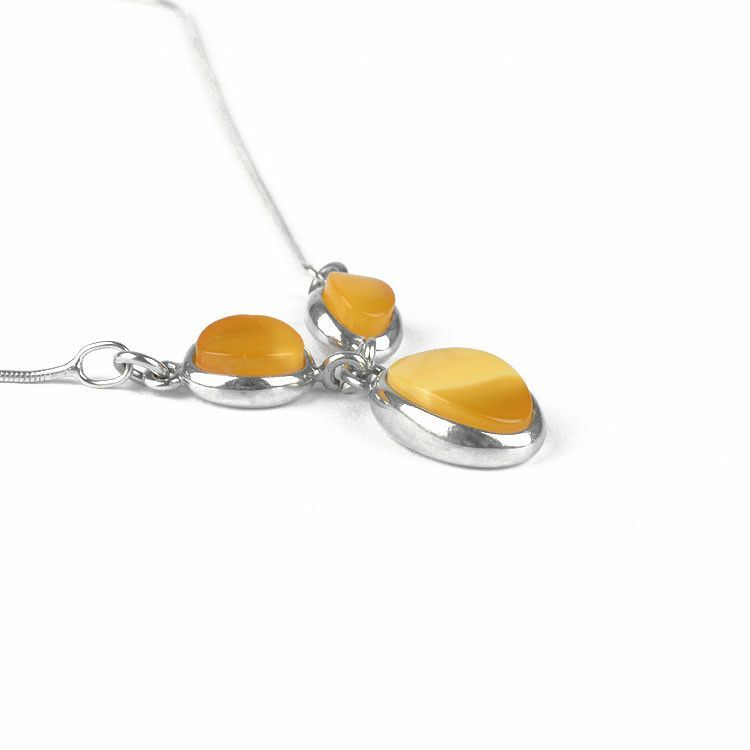 This classic and lovely amber necklace features three authentic butterscotch yellow amber stones. 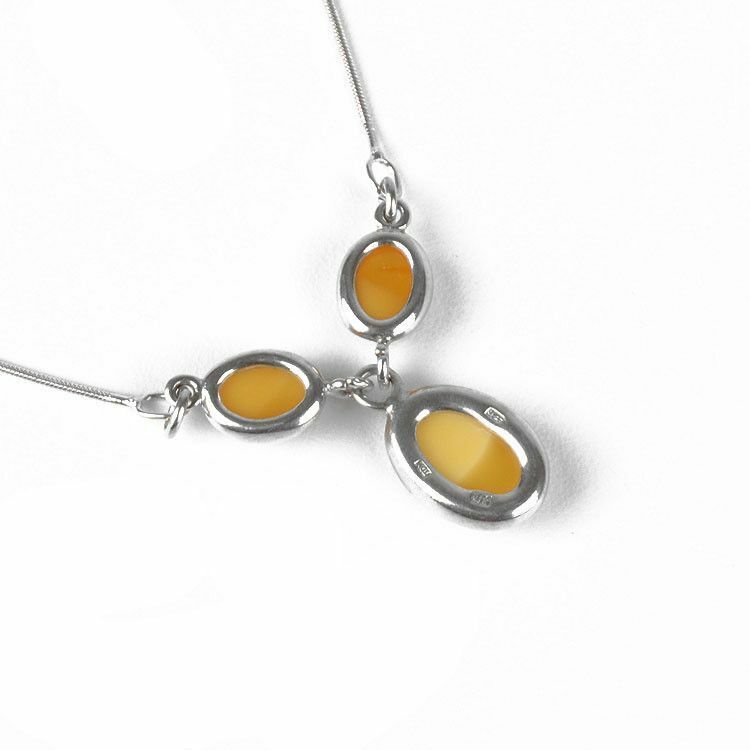 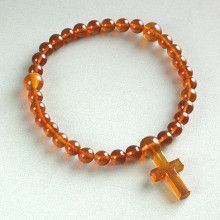 The largest stone (1/2" long) has a unique natural coloring to it; the butterscotch is both opaque and semi-transparent. 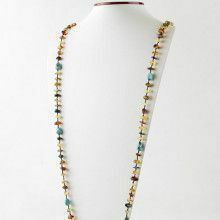 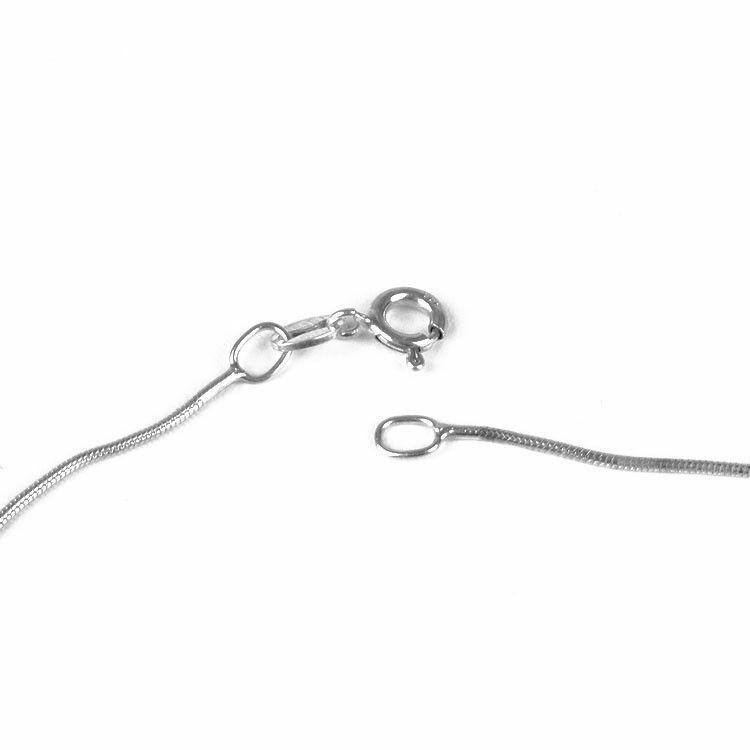 This 17" long necklace would be a wonderful addition to any fashionista's jewelry box. 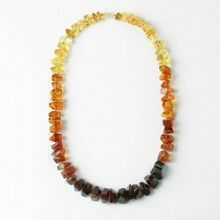 Largest stone is about 1/2" x 5/16"